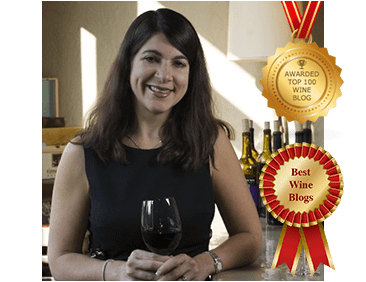 As a wine blogger, I get a lot of samples and I am very grateful to have the chance to try the amount of samples I do. But occasionally, there are wines that when I open the box I drop my “professionalism” and I am sure you might hear an involuntarily “whoo hoo” rallying cry. 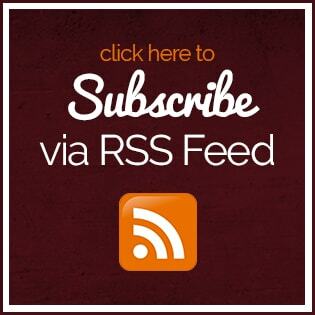 Today I am going to write about a few of those wines that have earned that reaction. Note, several of these are special occasion wines and most of them have a price tag that commands that experience. But, I highly recommend splurging for that special occasion. Bruno Pallard’s vineyards cover 32 hectares of champagne with more than 100 plots of different terroirs. Of that acreage, 12 hectares of the vineyards are classified as “Grand Cru.” The champagnes came from the founder’s desire to create a different champagne that blended diverse crus, grape varieties and vintages. 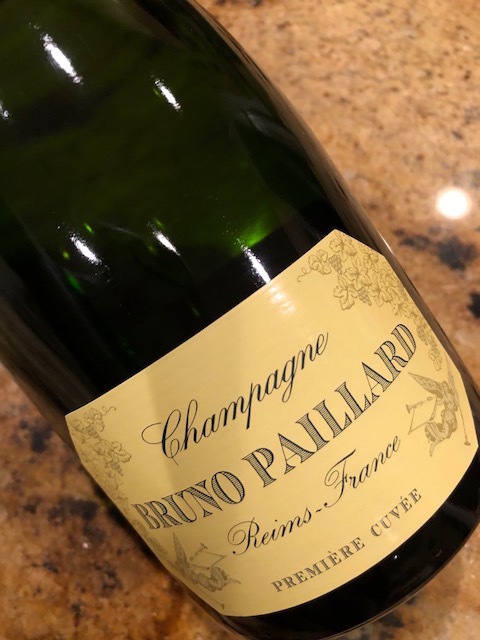 This champagne, which is blended with Pinot Noir (45%), Chardonnay (33%) and Pinot Meunier (22%), tastes of melon, citrus, brioche, peach, almond and a great minerality. 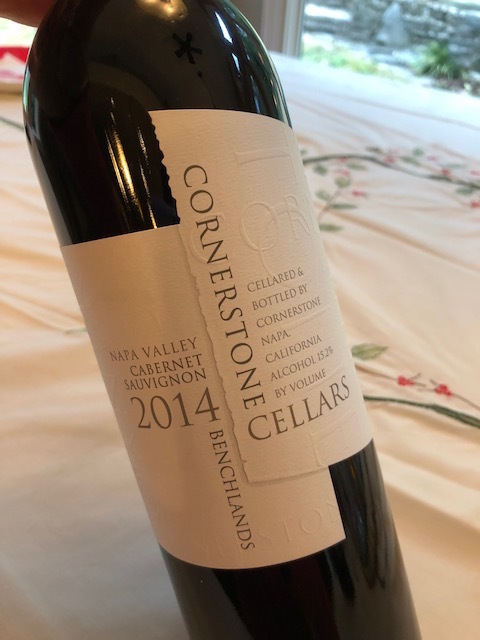 Cornerstone Cellars began in 1991 when Michael Dragutsky wanted to showcase Napa Valley’s top mountain and benchland Cabernet Sauvignon vineyards. Today the wines are made by Charles Thomas and Kari Auringer who embody a “vineyard to bottle” approach. I tasted blackberry, black cherry, cassis, mocha, licorice, chocolate, Asian spice and blueberry. This was a powerful wine with lots of fruit. Same valley, yet such different wines. The same black fruits, but the soil is different and you taste much more of the dry elements. Blackberry, prune, mocha, anise, spice and leather. 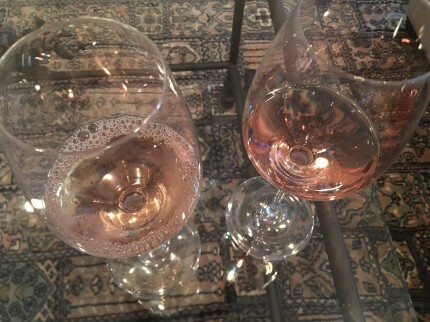 The difference that volcanic soil can make in a wine. Don Melchor was Chile’s first quintessential and iconic wine. Its list of awards and the amount of times it made the Wine Spectator’s Top 100 Wines of the World list (seven times) is long even though the wine has only been made since 1987 when Eduardo Guilisasti, the driving force behind Concha y Toro challenged his winemaker team to produce a wine that would establish Chile as a center for world-class winemaking. Guilisasti’s son Rafael and the winery enologist flew to Bordeaux with Concha y Toro Cabernet Sauvignon samples from the Puente Alto vineyard for a meeting with the “Father of Modern Winemaking”, Professor Emile Peynaud. Peyanaud was impressed and his business partner Jacques Boissenot was recruited to assist in the final blend. 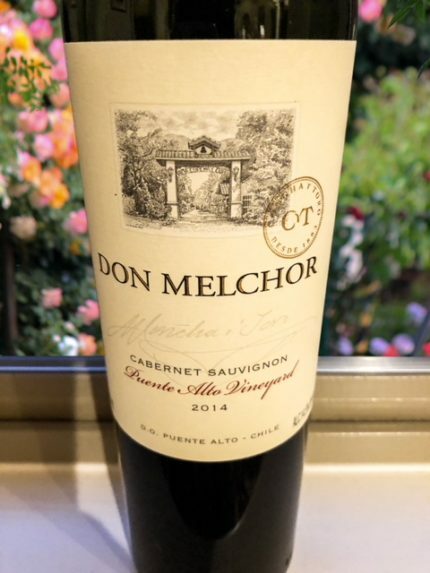 Today, Jacques’ son, Eric, continues to work with Enrique Tirado, who is the winemaker for Don Melchor. The Puente Alto vineyard is located near the Maipo River’s oldest alluvial terrace, where the soil is known for its clay, lime, sand, gravel and stone. The vineyard is grouped into seven blocks and 142 parcels that differ individually. Each vintage, Tirado selects a “quilt” of fruit from 50 to 60 parcels, out of the 142, for the Don Melchor wine. It was an explosion of flavors and aromas. Powerful and elegant. Notes of blackberry, tobacco, black cherry, currant, orange peel, mocha and mint. Definitely would benefit with cellar time, but it was an amazing wine. Flora Springs is celebrating its 40th anniversary this year, but has a legacy that dates back to 1800 when grapes were first planted on its Napa Valley property, by James and William Rennie. The winery is run by John Komes and his son Nat, while the vineyards are farmed by Pat Garvey (John’s brother-in-law) and his son, Sean. Paul Steinauer (who’s been with Flora Springs since 1990) is winemaker. The Komes family honors that history with sustainability, ghost wines and honoring the land that it farms. The 2015 trilogy is the 31st release of its flagship wine. 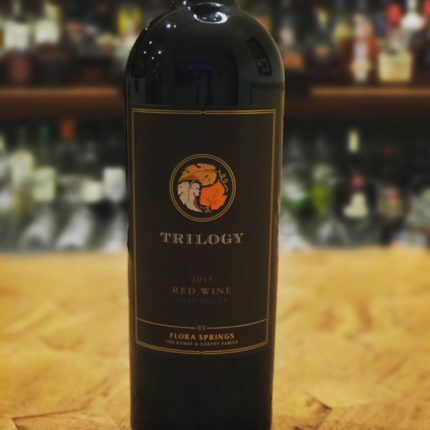 Trilogy was first made in 1984 when the family selected the highest quality wine lots from estate vineyards from traditional Bordeaux varietals. The 2015 is a blend of 82% Cabernet Sauvignon, 10% Malbec and 8% Petit Verdot. 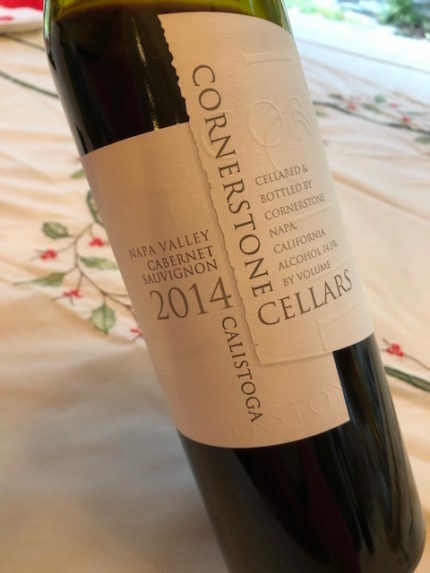 Most of the grapes were grown on the Komes family’s ranch which surrounds the Flora Springs Estate in St. Helena (though the vineyard straddles the St. Helena/Rutherford AVAs), though a small portion came from the family’s Crossroads Ranch in the Oakville AVA. This was an unctuous wine that was packed with fruit – blackberry, cassis, black cherry, plum, chocolate, mocha, cedar and vanilla. It was nuanced and had depth. I kept discovering new flavors as we sipped. It was absolutely delicious. 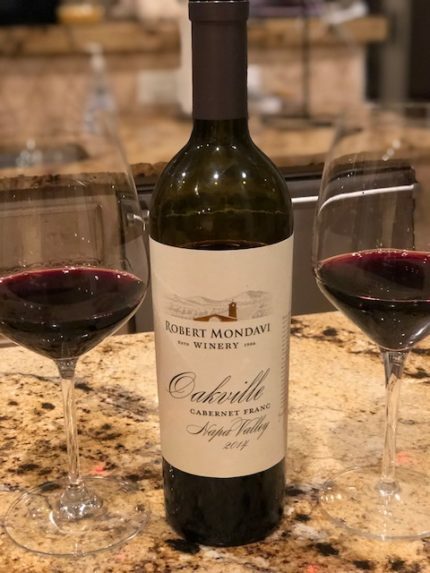 Robert Mondavi established his winery in 1966 with a vision to create outstanding Napa Valley wines. He chose To Kalon Vineyard as the home for Robert Mondavi Winery in Oakville, California. To Kalon is known for producing some of the top first-growth Cabernet Sauvignons. The Mondavi website categorized the Cabernet Franc as “hedonistic” and I couldn’t agree more. This was a wine that made me want to self indulge and how can one not when drinking a Cabernet Franc that comes from this vineyard? The blend was 80% Cabernet Franc, 15% Cabernet Sauvignon, 3% Malbec and 2% Merlot. This wine was bursting with blackberry, blueberry, chocolate, red currant, violet, pencil lead, cedar and a great minerality. It would benefit with some cellar time, but we decanted it and it was brilliant. I love a big woo-hoo when the shipping box is opened!